Are you or do you know Margaret Weis & Tracy Hickman? Margaret Weis & Tracy Hickman is a published author. A published credit of Margaret Weis & Tracy Hickman is Dragon Lance Tales : The Magic of Krynn , Vol ume 1. 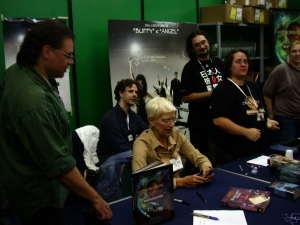 To edit or update the above biography on Margaret Weis & Tracy Hickman, please Log In or Register.